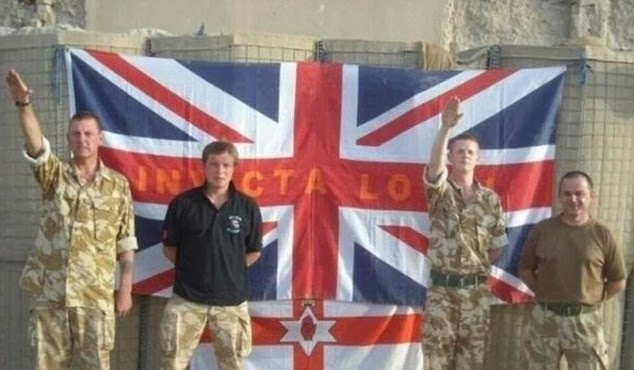 The photograph of two British soldiers giving a Nazi-type salute while standing in front of the Union Flag and the flag of Northern Ireland has sent ripples around the UK. Apparently taken at an Army base in Helmand Province, Afghanistan, the photograph will provoke international disgust as Remembrance Day approaches. John Mann, chairman of the Commons’ All Party Group Against Anti-Semitism said: ‘This is an insult to the memory of those who gave their lives to stop the Nazis.